Introduced in 2014, the HomeKit platform is Apple’s answer to home automation. It links devices from third-party manufacturers into Apple’s software ecosystem, allowing iOS and Mac users to control everything from lights and thermostats to smart locks and security cams. While Apple earned praise for HomeKit’s focus on security, the original mandate that compatible devices contain a special MFi chip put a crimp on new products. Luckily, Apple rolled out software authentication for HomeKit devices last year in iOS 11.3, opening the floodgates for new HomeKit products. As a result, we’ve seen a wide variety of new devices that work with Apple’s platform. Vendors showcased several last week at the big CES tech show in Las Vegas. With more and more HomeKit devices coming soon, Apple’s long bet on the smart home looks ready to pay off. Here are some of the most exciting new HomeKit products coming in 2019. HomeKit video doorbells — at last! Smart video doorbells like Ring and Nest Hello have been around for a while but, bizarrely, have been MIA when it comes to HomeKit. Apple even deleted the doorbell category from its HomeKit devices listing last year. The first HomeKit doorbell added to Apple’s updated website (currently listed as “coming soon”) comes from The Netherlands-based company Robin Telecom Development. Like Ring and Nest Hello, the HomeKit-enabled ProLine Doorbell will use microphones and cameras to let you see whoever is at your front door and engage them in conversation. The ProLine Doorbell, with a sleek industrial design that looks tailor-made for pricey Silicon Valley condos, reportedly will retail for a cool $660. It supposedly will roll out in several countries this month, and land in the United States and Canada in February. Netatmo’s Smart Video Doorbell will offer a way to let customers view who is ringing their doorbell on their iOS devices. The video doorbell boasts a speaker, a 1080p HDR camera and a call button. Pressing the call button sends a notification to the owner’s iPhone, alongside a video call invite, enabling a live feed of whoever is standing at your front door. Handily, it will also alert you if people are lurking at your front door without ringing. You can then scare them away, Home Alone-style, by broadcasting your voice through the doorbell speaker. While currently available for pre-order, Netatmo has yet to reveal the video doorbell’s price or launch date. While it’s one thing to be able to see who’s standing outside your door, it’s another entirely to stop them from getting in. That’s where new HomeKit-compatible smart locks come into play. Mighton’s contribution to HomeKit tech is a secure multipoint smart lock. It can be retrofitted to any multipoint locking doors without modification. Owners can operate it “locally” via Bluetooth or remotely by cloud. Kwikset’s updated Premis smart door lock boasts a redesign, bringing sleeker, square lines. You can unlock it using the Home app on iOS, with Siri voice commands, with a touchpad passcode, or even — boring — using a key. No pricing has been announced, but the previous generation Premis cost $229. Lockly’s new Secure Pro smart lock offers five (count ’em!) ways to unlock it. While it won’t support HomeKit at launch, integration supposedly is in the works. This ultra-secure lock can be opened via fingerprint scanner, voice assistant, a regular physical key or Lockly’s mobile app. It’s available for an online preorder sale price of $249.99. 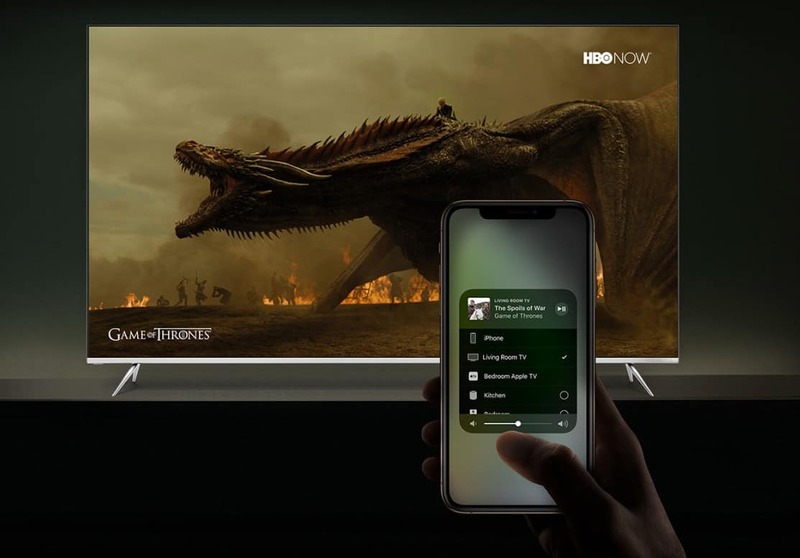 TV makers are suddenly BFFs with Apple. One of HomeKit’s (and Cupertino’s) biggest wins at CES was the announcement that Apple’s home-automation platform will be supported by some of the biggest TV makers in the business. Samsung, Vizio and LG all pledged HomeKit support in upcoming TVs (along with AirPlay 2, Apple’s Wi-Fi streaming protocol). HomeKit support means that it will finally be possible for non-Apple TV owners to control their television sets with Siri. Because who has time to reach for the remote in 2019? The 2019 (well, 2020) way to illuminate your living room. Smart lights are as standard a part of any self-respecting smart home as a Roomba vacuum or Nest thermostat. While they’re not a massive game changer, CES 2019 did throw us a few updates. Belkin’s new Wemo Light Switches enable users to control lights using Siri or the Home app. Coming later this year, the light switches boast an updated design. They will cost $39.99 for a single-pole switch or $49.99 for a triple-pole. Because who hasn’t wanted to play god by turning their lights on with only their voice? Less conventional than Belkin’s approach is the Nanoleaf Canvas modular smart lighting system. 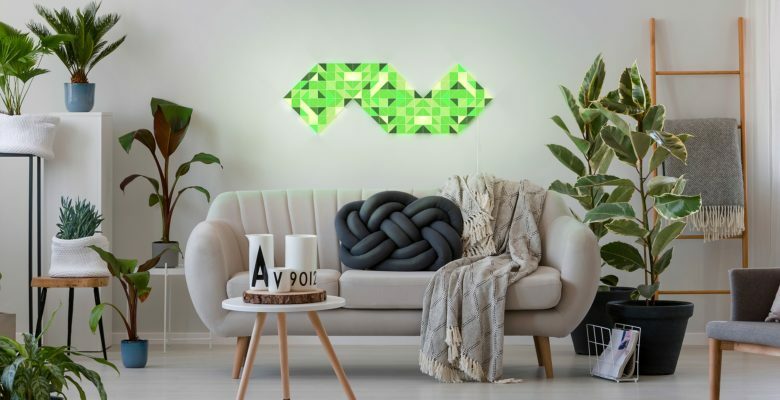 Building on Nanoleaf’s existing modular wall-mounted squares and triangles with (drum roll) hexagons, these promise to be a fun way to light up your home. Prices not yet announced. While they’re unlikely to be available until at least next year, LeMetric’s Sky also offers a similar concept to the Nanoleaf Canvas system. The difference? In addition to illumination, LeMetric’s HomeKit-compatible “mosaic light panels for mood & motivation” will also display online data, such as how many YouTube subs you have. 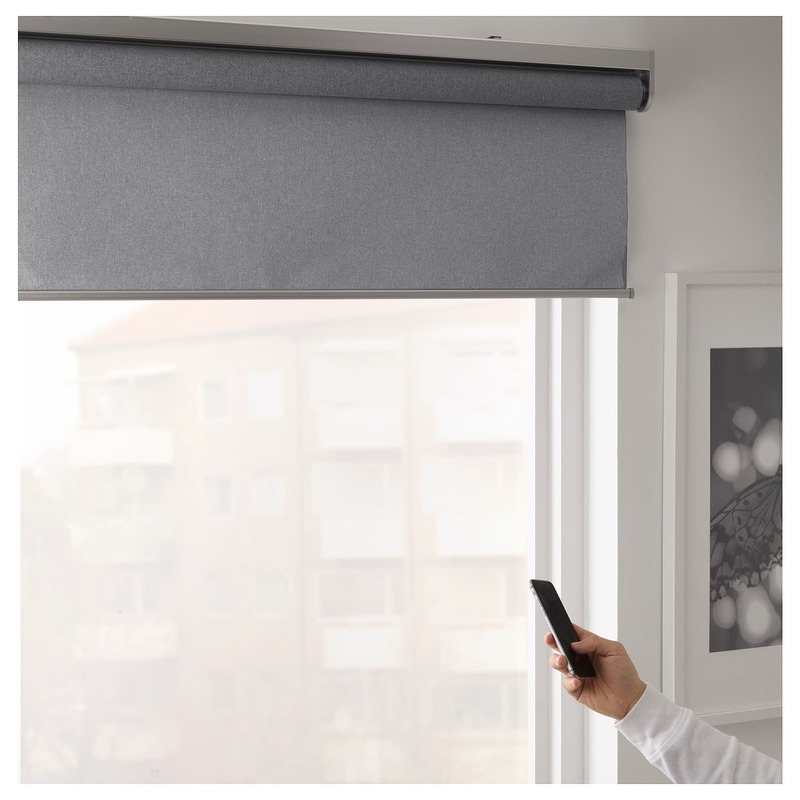 If you’ve got too much light in your room, maybe you’re interested in a set of HomeKit blinds that you can open and close at your command. That’s what Ikea recently debuted with its new powered blinds. The Fyrtur is a regular blind, while the Kadrilj is designed to still let light in, but block reflections on screens. They range in price from the 99 euros ($113) to 159 euros ($182). Don’t want to fuss around with ungainly controls to operate your ceiling fan? Lutron’s Caséta Fan Speed Control offers both a wall-mounted control to replace your existing one. It plays nicely with the majority of ceiling fans, and lets you customize your fan speed with more precision. Lutron calls this the “top requested product among Caséta by Lutron customers.” And, like the highly reliable HomeKit dimmer switches in the Caséta product line, the fan control can work with a Lutron Pico wireless mini remote as well as the Lutron app. 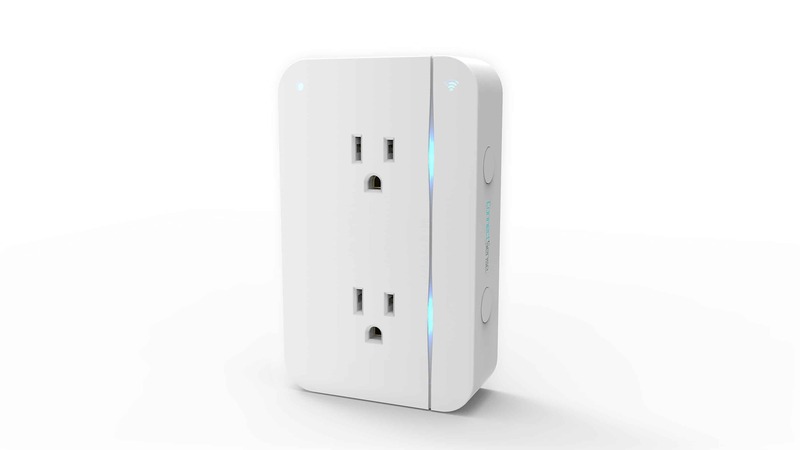 With ConnectSense Smart Outlet 2, you get two separately controlled smart outlets, plus a USB charging port. Some smart home tech isn’t about visible gadgets — it’s about saving money. HomeKit-compatible smart outlets let you automatically turn off the juice according to parameters you set, which can reduce costs. Some even let you monitor your power consumption and serve up actionable data that can help you lower your electrical bills. The Smart Outlet 2 from ConnectSense promises to help on that front. Offering power monitoring for your devices, the new ConnectSense in-wall outlet will keep tabs on your power consumption with real-time voltage data from its two separately operated outlets. If something seems awry in terms of consumption, users will get a push notification sent to their iPhone or iPad. TP-Link is adding HomeKit support to its Kasa Smart Plug Mini. Giving users the ability to control electrical outlets using their mobile device, or virtual assistant, this is one of the most affordable ways to jump on the smart home bandwagon. Are you a HomeKit user? What HomeKit devices are you most excited about? 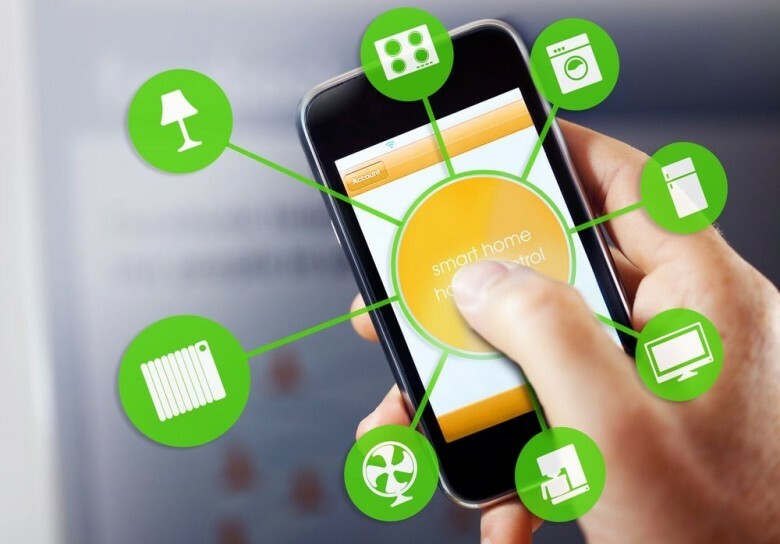 Who do you think is winning the battle of the home-automation systems? Let us know your thoughts in the comments below.